I make and wear copper jewellery because I love its colour and malleability. Many of the websites that sell copper jewellery tout its health benefits, particularly regarding arthritis, but very few provide references for their claims, much less present opposing viewpoints. The bottom line: Copper is essential for good health, so if you are deficient in copper (e.g., taking high doses of vitamin C or zinc or have a diet lacking copper-containing foods), wearing copper jewelry may offer health benefits (bones, joints, circulatory system, nervous system). Unless you have a rare metabolic disorder or are exposed to high levels of copper (have copper plumbing or live near a copper mine or foundry), wearing copper jewelry is unlikely to cause any harm. Copper is an essential nutrient, particularly important during fetal development. Copper deficiency is more common than copper toxicity, although both conditions are possible. Copper is vital for collagen formation, which means that copper is essential for bone formation and repair, skin formation and repair, and growth/maintenance of many other tissues incorporating collagen. Copper is crucial for nervous system development and is involved in the synthesis of neurotransmitters. Copper is involved in maintaining the balance of other metals in the body, such as zinc and molybdenum. Copper is necessary for maintaining the elasticity of blood vessels. In addition to the activities listed above, copper participates in many other enzymatic chemical reactions in the body (e.g., activation of melanin, absorption of iron, free radical neutralization). Vitamin C and zinc inhibit the body's absorption of copper. How Does Copper Enter the Body? If you have copper plumbing, most of your exposure is probably from your water. This is especially true if your water is corrosive (i.e., you don't have scale buildup). Letting the faucet run for 15-30 seconds will purge most of the copper from the lines (as well as harmful lead from solder and fixtures). Copper is found in many foods, including shellfish, liver, nuts, red wine and chocolate. You can absorb copper through the air you breathe. 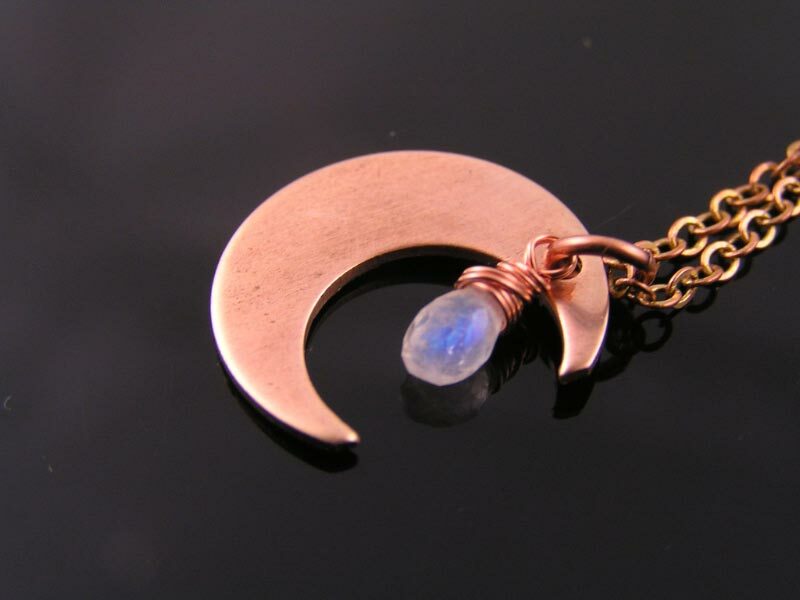 You can absorb copper across your skin when it is present in the air, water, soil, or jewelry. Certain household and gardening chemicals contain copper, such as fungicides and algae control products. You can be exposed through skin contact or by breathing vapors. So - there is no reason to not enjoy your copper jewellery but all the more reason to try wearing some copper yourself, it might not only make you look better but also make you feel better. All the copper jewellery on WEDUNIT Jewels is untreated which means you have the full benefit of the copper right next to your skin. There are two totally different types of chemical reactions that produce green tarnish. Copper in contact with air and water builds a patina, copper carbonate (verdigris), which is green but not poisonous. Copper in contact with vinegar/acid builds copper acetate, which is highly poisonous, it's also called 'greenspan'. Copper can be easily cleaned, please check out our page about jewellery cleaning.